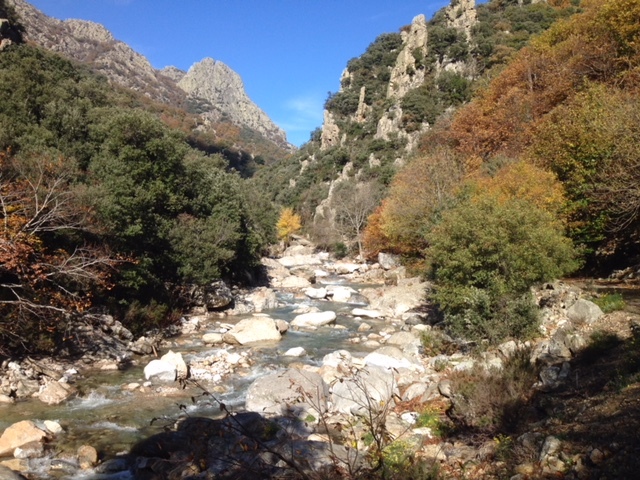 Under an hour’s drive from Mazamet, this stunning natural gorge provides a great place for a stroll as well as sightseeing in the nearby villages of Olargues & Roquebrun. 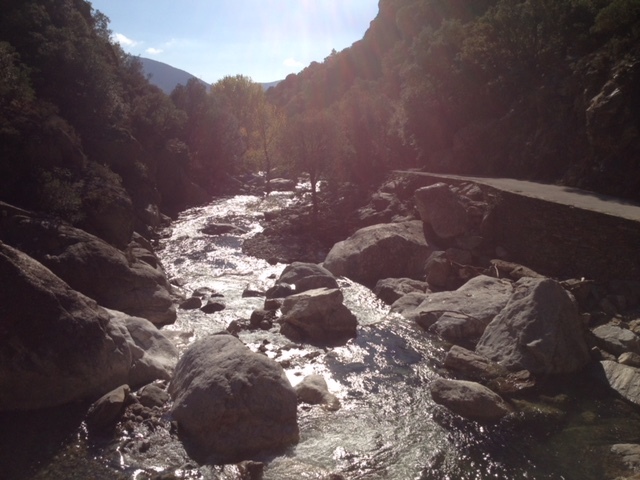 Cascades, natural rock pools for swimming, flora & fauna, the Gorge d’Héric has it all. Situated near the small village of Le Mons (in our neighbouring Départment of the Hérault) its a perfect day out for some exercise & fresh air. Your journey takes you from Mazamet through the villages of Saint Amans and St. Pons with rolling hills, crazing cattle and breathtaking views in either direction. After the village of St. Pons, you take the road towards Bedarieux until you reach Olargues and it’s medieval Devil’s Bridge. Leaving Olragues, you are but a short drive to the start of your walk. There is ample (paid) parking at the bottom of the Gorge and the walking route itself starts just metres away. Depending on how keen a walker you are – the complete walk to the summit is around 2 1/2 hours; two thirds of which are on a man-made pathway that follows the natural contours carved out by the fast-flowing river. The top section becomes quite steep and is on rough terrain; we would recommend wearing walking shoes/boots if you intend to undertake the full walk. If you are staying with us in July & August, you will need to arrive early as it’s a very popular spot for locals and the car park becomes full – we undertook the walk ourselves in October (when these photos were taken) – whatever time of year, the changing scenery, the volume of water, and the colours of the trees make for a fantastic scenic walk, and one we (and our guests) highly recommend. When staying with us, ask us for directions and more information. 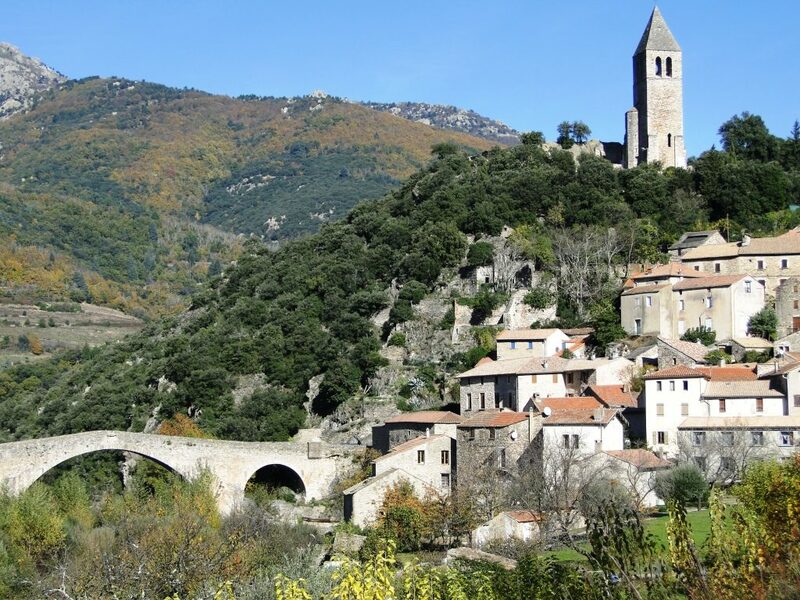 Olargues & Roquebrun can also be visited as part of one of our 8 self-drive day tours – read more about these and other things to see and do, HERE on our website.